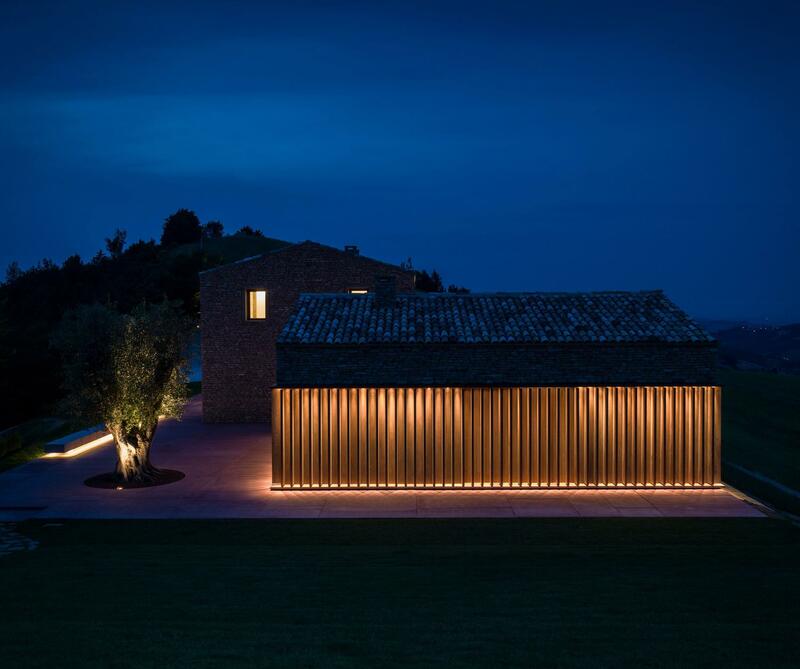 Architects Alice Gardini and Nicola Gibertini of Rimini, Italy-based GGA Gardini Gibertini Architetti have created an elegant single-family home that reflects the surrounding area’s medieval and renaissance history and takes full advantage of the rural landscape. 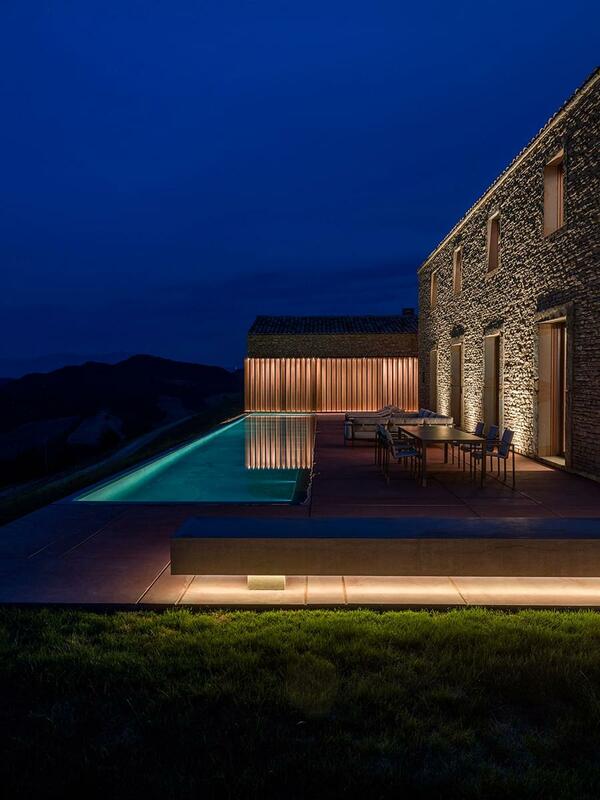 The AP House is situated on a high hill on an ancient village site located in the walled city of Urbino in Italy’s Marche. 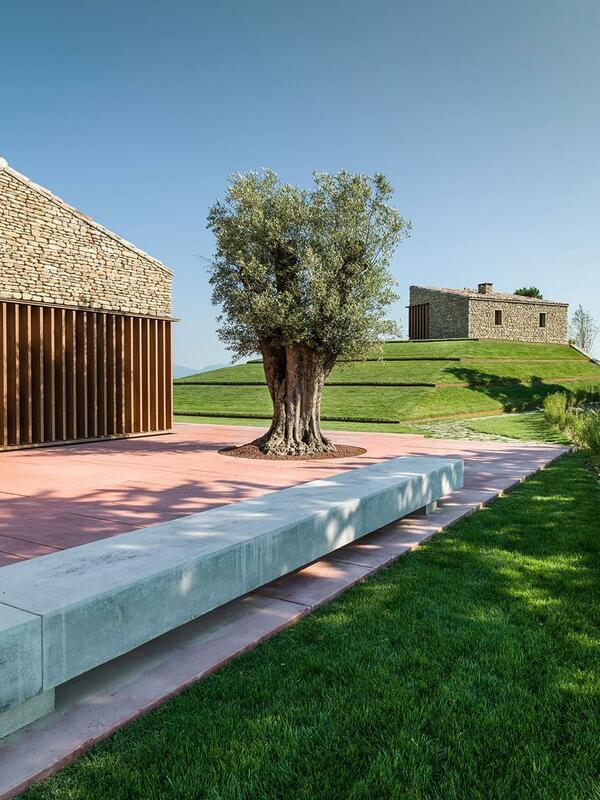 Instead of creating one massive structure, the architects opted to use the language and scale of the local historical residences and built three separate parts on a monolithic red concrete platform. The main entrance, through an underground garage, leads to a gallery and cinema. The gym and spa are located in the wood-frame annex with the stairs leading to the central building. 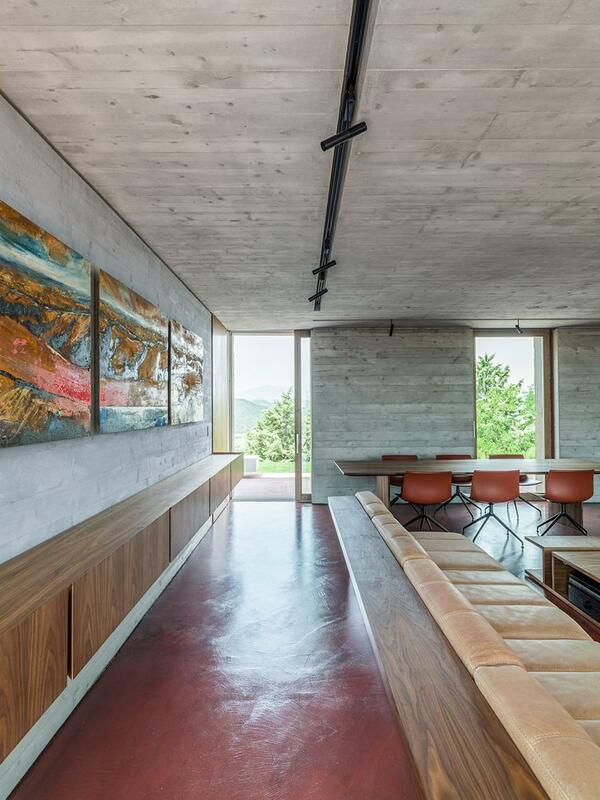 The main feature of the core residence is the view over the swimming pool and the hilly scenery beyond. Kitchen, dining room and lounge take up most of the space on the first floor, with the master apartment and two double bedrooms located on the upper level. 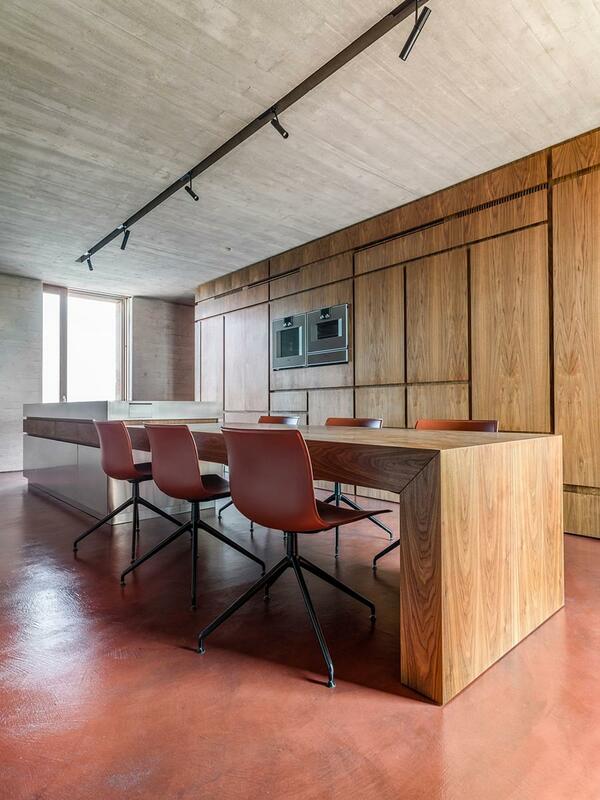 Simplicity and strong materials dominate the living areas with concrete floors throughout, and walnut furnishings created by CGA architects. 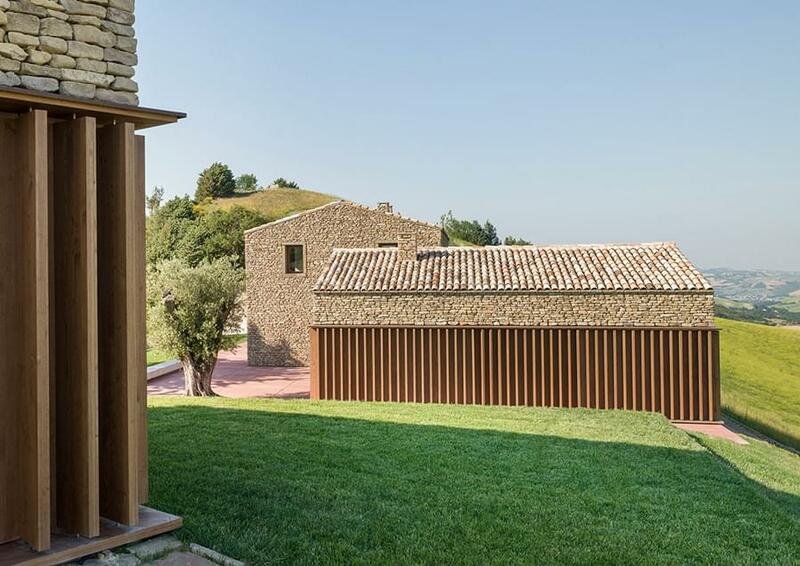 The third building is located in the garden on a man-made hill with space for the barbeque area and room for gardening equipment in the basement. 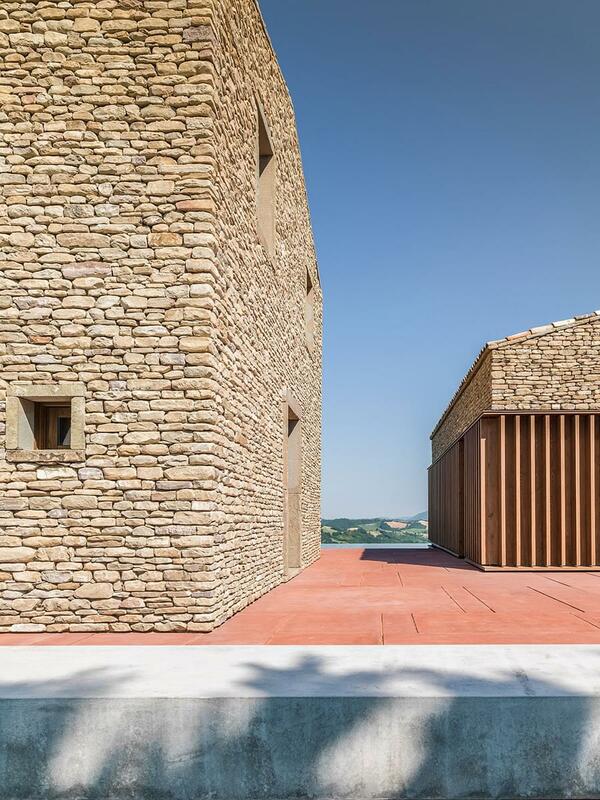 The home is decidedly new and modern but the scale and clever positioning of its three parts, and the use of local stone and wood help it earn its place in the ancient landscape.